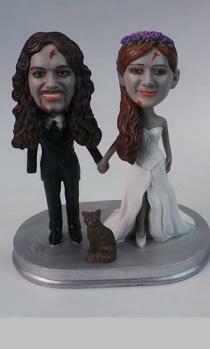 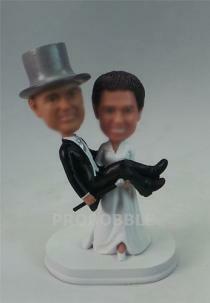 Bobblehead cake toppers is definitely one of the important part of the wedding. 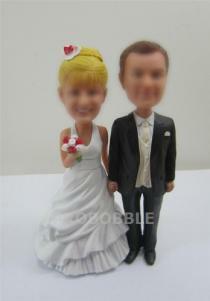 We have a range of bobblehead cake toppers with different themes, like Indian, Canadian wedding, wedding on beach,lesbian ,gay, police and sports weddings.Humourous bobblehead cake toppers also can be seen in this selection. 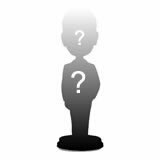 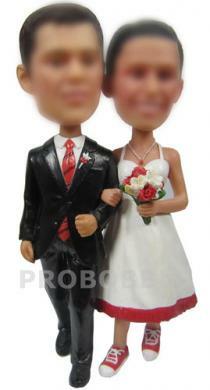 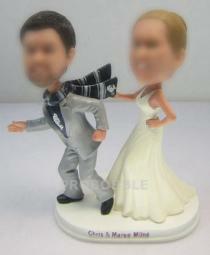 If you want to design your own cake topper, custom bobblehead cake toppers must be another great option for you. 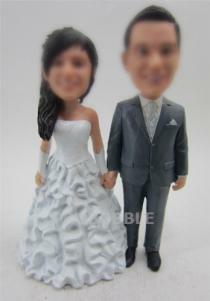 You can send in the photoes and we will make one which look the way you wish. 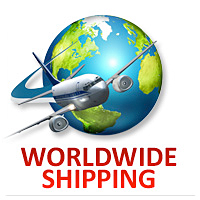 You are sure to choose your favorite one here. 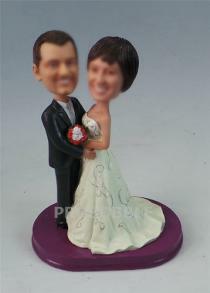 With best quality and likeness, our cake toppers would add fun and charm to your wedding.Select your favorite topper here for your friends and family is an excellent idea.Receiving such a gift must be a great surprise and enjoyment for them. 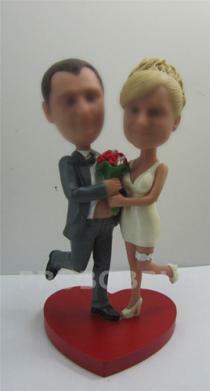 The cake topper can be put on the cake in the wedding and as a momorial on the table of your room after wedding.